Let’s have a drum roll … followed by a few oohs and aahs from the audience. Here it is, the moment you’ve all been waiting for, the cover reveal for my third e-collection of short stories! Put your hands together for the cover of House Guests and Other Stories! Design and create it yourself. Unless you’re a whizz at graphic design this can be very time-consuming. 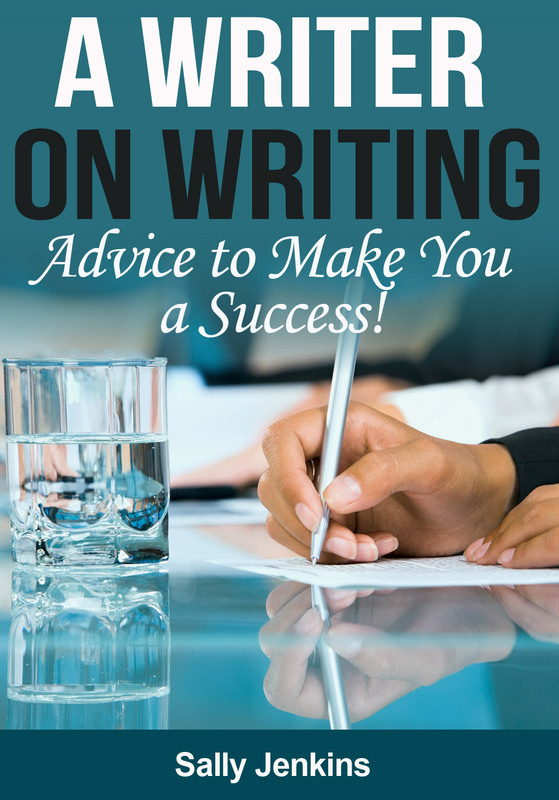 I give some advice on DIY (based on my own experience) in this guest post for the Writers’ Bureau. Use Amazon’s Kindle Cover Creator. This is very easy but the covers can’t be used on other e-book sales platforms and there’s a danger of them looking formulaic. I’ve written about this here. Use one of the cover designers on Fiverr.com. All services on Fiverr.com cost $5 plus a 50c processing fee (currently around £3.62). I’ve done this several times. Use a ‘proper’ bespoke cover designer. This will probably give you the best result but will also be significantly more expensive than the other options – meaning it will take longer to make a profit from e-books sales. 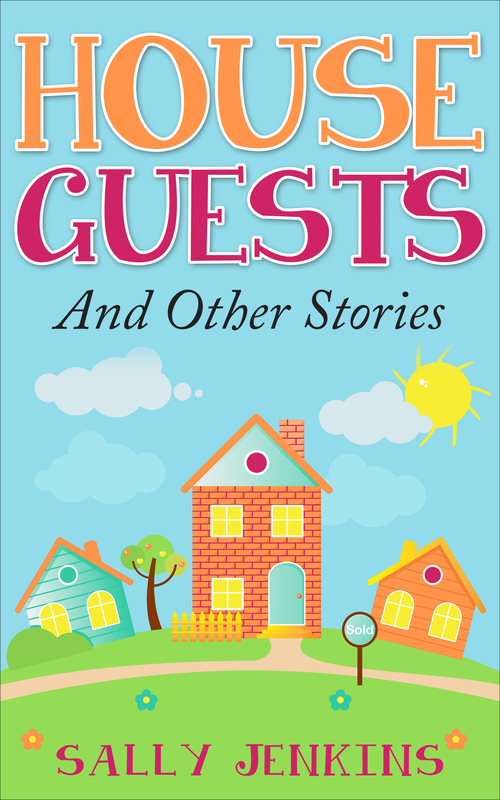 The cover for House Guests and Other Stories is from pro_ebookcovers, a designer on Fiverr.com. This designer worked differently to the others that I’ve used previously from the site. She asked for links to two e-books on Amazon with cover designs in a similar style to what I wanted (so I looked at short story collections that seemed to be selling well and had covers with a warm and friendly style). Then she asked me to choose a cover image from http://depositphotos.com (or I could’ve supplied my own). I chose something that I felt was vaguely applicable to the title story. The designer then downloaded the image and did the necessary fiddling to get it to the right dimensions and added the lettering. I felt this way of working made things easier for both parties. I didn’t have to struggle to explain the type of image I wanted and the designer didn’t have to struggle to interpret my brief or spend time finding a suitable picture. I recommend pro_ebookcovers and will use her again in the future. So, back to House Guests and Other Stories. It’s a collection of fifteen short stories, many with a twist and most have appeared in either The Weekly News, My Weekly or People’s Friend. There’s also a couple of competition successes in there plus a special guest story by a prize-winning author! I’ll reveal the guest author in a later post when I launch pre-orders for the book. I’ve never used pre-orders before and I’ve never had a guest author before so it’s exciting – watch this space! In preparation for my next e-book release, I’ve been playing with Amazon’s Cover Creator. This can be found within the Kindle Direct Publishing process, at the point where you would normally upload a cover that you’ve created elsewhere. Designing with Cover Creator is far, far easier than trying to do it with GIMP or any other such design software (unless you happen to be an expert – which I am definitely not!). Choose Design – select an image from those available within Cover Creator or upload an image of your own. There is a reasonable selection of images available and they are split into sections such as Animals, People, Architecture, Food and Drink etc. I found a picture which I felt was a reasonable likeness to the heroine in my tale. Style and Edit – select the layout, colour scheme and font. There are a limited number of each of these. The layout dictates whereabouts on the cover the title, subtitle and author name will appear. Colour scheme and font are self-explanatory. Preview – see how your design will look in the Amazon store. This is the only part of the process that caused me problems. When I tried to Preview I kept getting the message, ‘Cover Creator has encountered an error. We recommend you refresh your browser.’ So I contacted Amazon. They suggested that I use Firefox as my browser instead of Internet Explorer. This worked but first I had to delete everything I’d already done in Internet Explorer and start again. At any point in the Cover Creator design process you can save the cover and come back to finish it later. And you can design in Cover Creator before your book is ready to be uploaded. The limited number of variables available (i.e. images, layouts, colour schemes etc.) However, I would guess that Cover Creator would become much more difficult to use were there to be an infinite choice. Just be prepared for someone to have a similar cover to yours! Covers created within Cover Creator cannot be used outside of Amazon. So if you intend selling on other platforms, source your cover elsewhere. Initially, my next book will be exclusive to Amazon so I’m not going to worry about this at the moment. Here is a sneak preview of my proposed cover design. Any comments gratefully received! 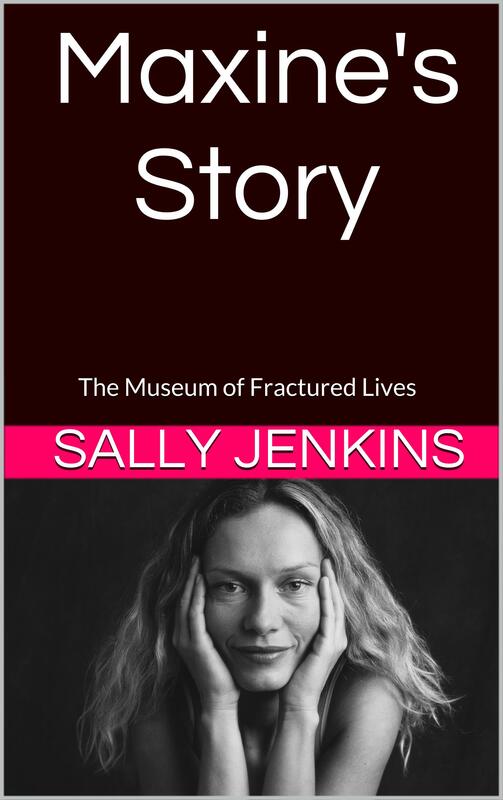 To put my design in context – this book is intended to be the first in a series of stories (each around 8,000 words long), all of which will be set in The Museum of Fractured Lives. Each e-book will feature a different donor to the museum and tell the story of the object they are donating. Maxine is the heroine of the first book. It was loosely inspired by The Museum of Broken Relationships in Zagreb which I told you about here. However, I should emphasise that everything in the book is totally fictional. I have never visited the museum. After all the wonderful advice I got on my previous post about cover design, I thought I’d got things under control in that department. But my attempt at a cover for my third book was so abysmal that I daren’t even show it to you here. Compared with similar books already on Amazon it looked very basic and most definitely amateurish. I think this is because the book is non-fiction and therefore requires a very business-like cover to get anywhere near competing with the hundreds of other books on the same subject. So I decided to call in the professionals. I used the website Fiverr. This site features hundreds (or maybe thousands even) of sellers offering their services for just $5. The range of services is vast from personalised greetings cards, translations and bespoke bedtime stories. But there are also lots of e-book cover designers on there too. I picked one of the top-rated designers (like on EBay, buyers have to leave feedback on the service they received) and told her the title of the book, what it was about and a brief suggestion about the type of image that might be suitable (it is also possible to send the designer a specific photo if you have one that you want to include on the cover). Two days later my cover design was delivered and you can see it on this post. It’s much better than I could produce. I’ve borrowed the title from a ‘column’ on the Open Writing website which runs an extract from this blog each week (the site includes lots of other writing from around the world, too). A Writer on Writing is a compilation of 14 of my articles that have appeared in the UK writing press, such as Writing Magazine & Writers News, The New Writer, Writers’ Forum and Freelance Market News. They cover subjects as diverse as generating ideas, writing articles with an anniversary ‘hook’ and flash fiction. As I did with my other books, I have set an introductory price of 77p – with a view to increasing it when I see how sales go. Setting the perfect price point to encourage buyers without devaluing the work involved in producing a book is very difficult. 77p is the lowest price point available to independent authors. Click here to see the book on Amazon UK and here to see the book on Amazon COM. It’s also available on all other Amazon sites by searching for ASIN: B00C0GBRS6 or by title and author. I’ll keep you posted on how my e-publishing empire is growing (or not as the case may be!). 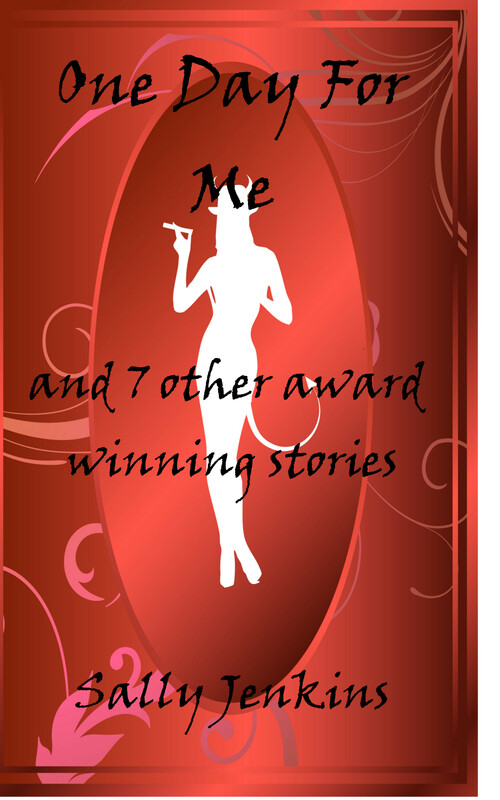 I’m making progress on my e-publishing project – it’s an anthology of 8 short stories that have either won or been shortlisted in UK writing competitions. The text has been formatted, uploaded to Amazon and checked in their ‘Preview’ function. But producing the cover has been a battle (see the image on the right – I’m not sure the font is clear enough – what do you think?). In the end I’ve created the simplest of images by taking a free photo from Stock Free Images (in return for this credit at the front of the book – © Vojsek | Stock Free Images & Dreamstime Stock Photos) and used GIMP software (free to download) to add the book title and my name. If anyone else is thinking of doing this, be warned that GIMP is not easy to use – I spent much time searching for help elsewhere on the internet. But it’s probably like anything else, the more you do it, the easier it gets. I’ve listed some of the links I used at the end of this post. Now I need to decide on the pricing structure. Do I sell it cheap or dear? If I price the book between 75p and £1.49 then I get 35% royalties, if I price higher than £1.49 then I get 70% royalties. So, by my calculations, pricing at £1.50 would earn me £1.05 per book and pricing at 75p would earn me around 27p per book. Do you think if I go cheap I will sell four times as many books – or am I merely devaluing the writing?